Our convenient Sellwood location for parents who work in downtown and live in the southeast. Your child's daycare environment is a peaceful space where they feel safe to explore, play, create, and “just be” in peace and joy. We serve organic, fresh, and local foods and use only green cleaning supplies, low-VOC paints, and natural/organic materials, as well as beautiful and gentle colors. Along with our daily rhythm of activities, we explore the local Sellwood community and the nearby beauty of Johnson Creek. Our children also dance and learn from our weekly visits from Music and French teachers. Easily accessible location for parents who work in downtown Portland but live in Happy Valley, Clackamas or Oregon City. Child care drop-off starts as early as 7 AM, with pick up available until 6 PM. Originally from Seattle, Deanna returned to the Pacific Northwest after a 20-year career in L.A.’s music industry. Once settled in Portland, she began pursuing the work she knew was her life’s calling: caring for, loving, playing and dreaming with babies and young children. 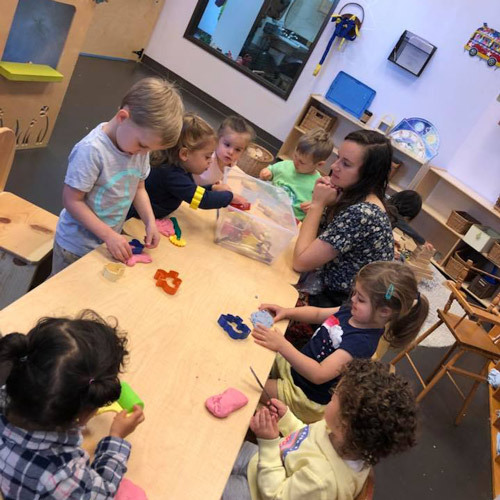 Having an educational background in Early Childhood Education, Deanna’s studies and training expanded to include Waldorf Early Childhood Education and Lifeways Early Childhood philosophies. She dreamed of creating spaces for little ones that offered them opportunities to learn and grow through nature-based free play. Remembering the absence of this type of child care option while raising her own children, Deanna recognized a need that wasn’t being filled and went to work filling this need in her own community. 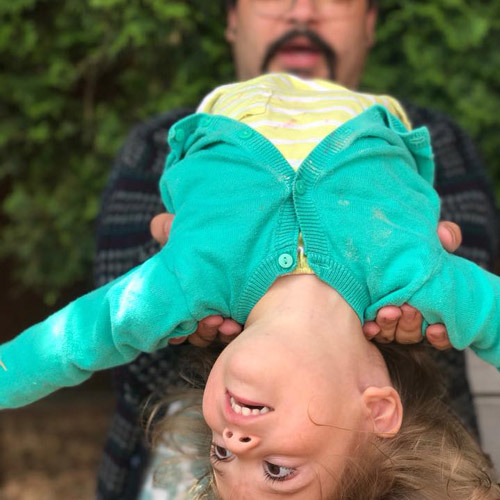 Deanna founded Wow and Flutterville with the mission of creating a “home-away-from-home” for infants and toddlers that honors attachment parenting, family nursing choices, Mother Nature, inclusion, community, and a child's most important work: to play. Music, the arts, yoga, movement, song, and time spent in nature fill each day at Wow and Flutterville Playgardens. 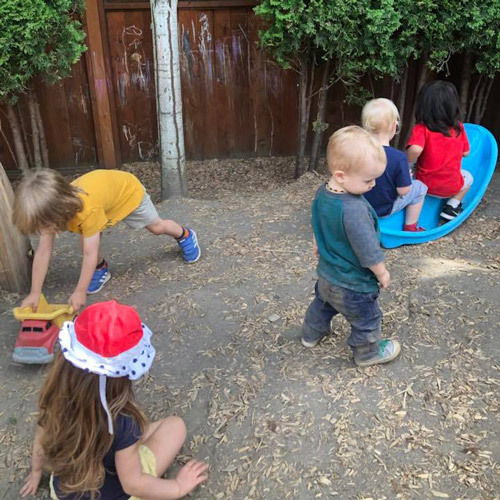 Committed to creating a playgarden culture based on kindness, empathy, community and inclusion in beautiful, warm, inspiring home settings, Deanna opened her first playgarden many years ago. Since then, her program has expanded to three locations, with a fourth location soon to open in Spring of 2017. In addition to being the owner of Wow and Flutterville, Deanna enjoys spending time with her two daughters. Her other loves include Kundalini yoga, nature, the arts and music. Deanna looks forward to caring for and inspiring your babies and precious children at times when they can't be under your loving care. Miss Alexandra is an Oregon native and has many years in childcare. She comes to us most recently as Assistant Director at Creative Minds. She loves the outdoors, artistic pursuits and of course, young children!